In this article, I will speak on the topic of endurance nutrition for the new ultrarunner. The information is guided toward those new to the sport and explained to those new to endurance nutrition for long distance running. "How do I fuel for long runs?" A long run means different things to different people. For someone very new to distance running, a long run can be something like 60-90 minutes. For those who have trained and completed a marathon, the long run is conceptualized as something like 5 hours or more. Regardless of this fact, proper fueling will support your effort sustain your physical effort through the completion of that distance. There are some standard, accepted norms for endurance nutrition intake during aerobic exercise. (of course, there are always exceptions too) Among those are the common effort to intake some form of carbohydrate while training. A safe and accepted rate of intake is 200-300 calories per hour of exertion. The longer the run, the more critical nutrition/hydration become. That is, if you were to run for 2 hours and not eat or drink anything, you would likely finish the run feeling moderately OK and somewhat dehydrated. You would, however probably finish the run just fine as long as you have the physical endurance to run that far. As we push out this example with respect to time, the consequences become greater for those who do not start introducing nutrition and hydration from the start of the run. At 3-4 hours of running, if it is not too hot…you will still likely finish the run but feel quite exhausted. You would experience increased fatigue, a slowed recover, and more intense dehydration. Should we go on in this example? As we increase the running time without nutritional support, the problems become worse. 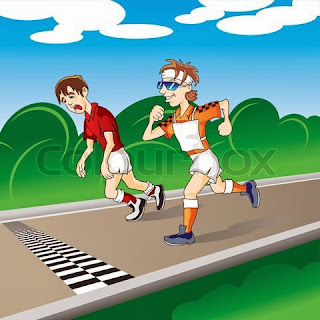 Now, after 6 hours of running….assuming the physical ability is present in this runner, he or she would likely run into heat exhaustion or heat stroke ( if it is warm or hot). They would also likely exhaust their on-board glycogen energy. Their pace would have slowed considerably or been forced to walk, as their body changed from glycogen energy to fat. The recovery would be significantly longer and the suffering would be memorable, to say the least. In this example, I attempt to paint an obvious picture. These are eventual consequences to running without any type of nutritional intake. Of course, running for that amount of time without any type of intake is uncommon. Most athletes practice some type of intake, even if it is lacking. So, even if a runner is taking in ½ the calories needed to sustain a given distance, they are, at least, putting something in the tank and delaying the consequences associated with this critical error. The longer the run, however, the more we must face the consequences associated with improper or no intake, lack of hydration, and/or exhaustive pacing. you will finish with a smile on your face like this guy on the right! Bananas, oranges, pretzels, chips, granola bars, potatoes, soup, carbohydrate gels, peanut butter, bread, and honey. Buffalo meat, Red Bull, pickles, whiskey, M & M candy, bacon, ice cream, and jello. 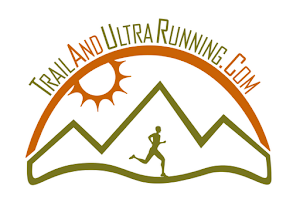 At the basic level, however, broad experimentation by a new ultrarunner should be kept to a minimum. You wouldn’t want to ruin your key race by taking in something weird in the early miles of the day…and pay for it over the rest of the race. So, consider carrying much of your nutrition in a pack or through drop bags, if they are available. You can usually count on aid stations to have water…and if you only rely on them for that water, you will avoid any possible pitfall associated with a hasty bad food choice. If you train with some of the quality examples above, like bananas, carbohydrate gel, PBJ, and granola bars…you will work through any particular issues related to taste or digestion. Then take these same items to your event and fuel on them for the duration of the race. This eliminates so many of the unknowns and should put your mind at ease. For your first race, shoot for an intake of 200-300 calories per hour. Consume the types of things mentioned above, and hydrate with quality electrolyte fluid. If you do this from the beginning of the run and continue for the hours of exertion, you will set yourself up for success and also aid your recovery from the day. Don’t forget to finish your run with a liquid protein recovery drink of some type. This should be consumed within the first 20-30 minutes after your run. By doing these things for every long run, you will yield maximum benefit from each long run.